“Ecce Agnus Dei, ecce qui tollit peccata mundi. Beati qui ad cenam Agni vocati sunt” (Behold the Lamb of God, behold him who takes away the sins of the world. Blessed are those called to the supper of the Lamb). The Verse Before the Gospel in today’s mass is from John 13: I give you a new commandment, says the Lord: love one another as I have loved you. So who gives commands? The boss, the general, the supervisor, the police…in this case, it’s God. But what, besides the Eucharist is an important part of this story? God reminds everyone that he is going to be sacrificed to save them from their sins, and then proceeds to wash the feet of his disciples! 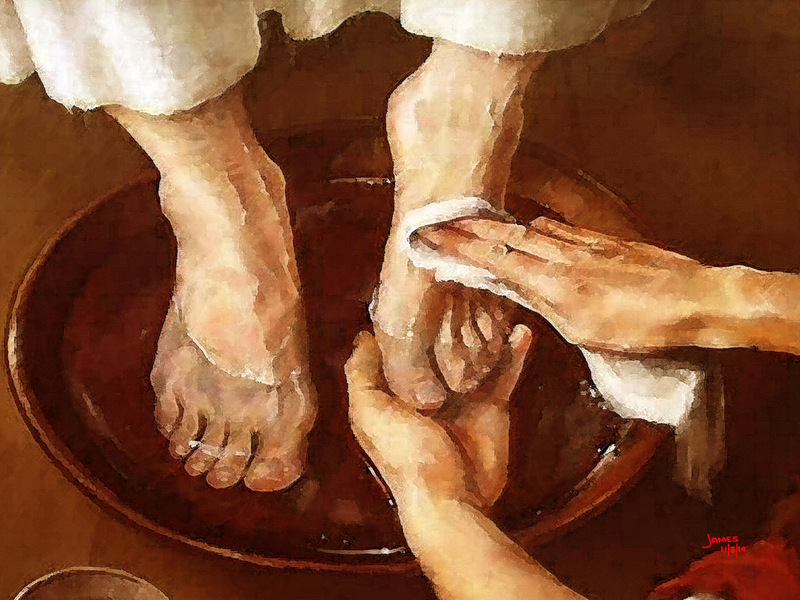 The master becomes the servant and tells us that we should all be servants to our neighbors. It seems to me that the whole of the establishment of the Eucharist embodies this idea of servanthood, along with the bread and wine. Sometimes we just forget this part of our Lord’s last day as a free man. “Do this in remembrance of me.” Eat the bread, drink the wine, serve our fellows. That reminder is not an integral part of the mass, but perhaps it should be. Wouldn’t a weekly or daily reminder at the feast of the Eucharist that we are all to act as servants, wouldn’t that reminder be a transformative event in our lives? After all, we are just dust, and will return to dust. But living for, and being remembered as servants of, our fellows…isn’t that a greater honor than being the boss, or first at the table? Being like Jesus. Isn’t that the greatest honor of all? Lord, as we approach the time of your passion, help us to remember every day that you came to us as a servant and gave your life for us on the cross, so that at daybreak on Easter, we can rejoice in your resurrection as your friends. Amen.